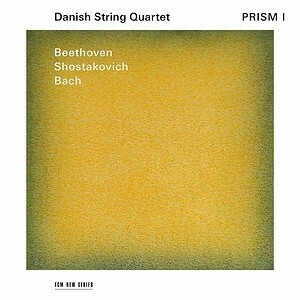 Danish String Quartet Releases Prism I | Kirshbaum Associates Inc.
Today marks the release of the Danish String Quartet's Prism I, the first disc of a five-album project for the ECM label. PRISM curates a series of musical sets based on the historical and musical impact of Bach’s seminal fugal writing, the final Beethoven string quartets, and compositions which were born out of these fundamentally influential works, including quartets by Shostakovich, Schnittke, Bartók, Mendelssohn, and Webern. Prism I features Beethoven’s Op. 127 in E-flat Major, Bach’s fugue in the same key (arranged by Mozart), and Shostakovich’s final string quartet, No. 15 in E-flat minor. Prism I is now available online and in stores everywhere.